Ho Thi Bich Khuong, 40, served a five-year sentence in Thanh Hoa prison for “conducting propaganda against the Socialist Republic of Vietnam” under penal code article 88. Prior to her last arrest and imprisonment she was arrested and detained numerous times and tortured in detention. In 2003, she was arrested by mobile police in Mai Xuan Thuong Square in Hanoi along with other land rights petitioners and detained for two weeks in a Social Protection Center. In 2005 she was detained for six months at Detention CenterNo. 1 in Hanoi. She was arrested again in April 2007 and detained for 16 months in Nghi Kim Detention Center in Nghe An and then transferred to Prison No. 6 in Nghe An for seven months. After her release from prison she was arrested again on June 14, 2010 and held overnight at Phu Nhuan District police station in Ho Chi Minh City. Police officers beat her repeatedly during the night and the next morning before dropping her off, battered and bruised in Gia Dinh park the next morning. She is among an emerging and fast growing group of farmers who use the Internet to defend the rights of landless poor people and to promote freedom of expression and freedom of association. A widow and mother of a teenage son, she was held in incommunicado detention for almost a year after her last arrest in January 2011. After meeting dissident writer Nguyen Khac Toan in August 2006, Ho Thi Bich Khuong joined the pro-democracy group known as Block 8406 and began to write articles criticizing the government and the party and calling for freedom and democracy. Her writing appears on different websites of overseas Vietnamese in the United States, Germany, Australia and elsewhere. In addition to detailed accounts of various forms of repression and harassment that she and her family has been subjected to, Ho Thi Bich Khuong also writes about the sufferings of other poor peasants and of her fellow human rights activists. In April 2007 she was arrested in an Internet café in Nghe An province. During one year of pre-trial detention in Nghe An, she was beaten severely by investigation police. In April 2008 she was sentenced to two years in prison for “abusing democratic freedoms to infringe upon the interests of the state” under Article 258 of the penal code. Her memoir of her time in prison was published in serialized form in July and August 2009 by Nguoi Viet Online, one of the most prominent Vietnamese-American newspapers in Orange County, California. She also provided a detailed accounting of the torture she witnessed and experienced in prison to Father Nguyen Van Ly upon his temporary release from prison in March 2010, which he subsequently published on the Internet as part of a lengthy series documenting the widespread torture of political prisoners in Vietnam. 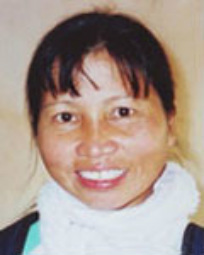 After her release in April 2009, Ho Thi Bich Khuong was unable to secure any employment due to police harassment. She was detained and beaten several times by police in Nghe An for protesting against corruption and injustice by local officials and calling for the release of other democracy activists. On June 14, 2010 Ho Thi Bich Khuong was arrested by police in Ho Chi Minh City and badly beaten. She was held overnight in the police station, where she was beaten on the head and kicked in the face repeatedly throughout the night and then dumped in a public park the following day. She suffered many bruises and injuries. Continuing her activism, Ho Thi Bich Khuong traveled to Thanh Hoa province in November 2010 to visit the families of people killed by police during a land rights protest at Nghi Son Petrochemical Refinery. She publicly criticized the lack of action by the government in the case. Her latest arrest took place on January 15, 2011 in Nghe An, three weeks after she documented harassment and violence against independent Mennonite groups seeking to celebrate Christmas in Thanh Hoa province. After her arrest she was held incommunicado for nearly one year. On December 29, 2011, she was sentenced to five years in prison and three years of probation for violating article 88 of the penal code, “conducting propaganda against the Socialist Republic of Vietnam.” She was sent to section K4 of Prison No. 5 in Thanh Hoa province. In December 2012 Amnesty International issued a public appeal on behalf of Ho Thi Bich Khuong, who was badly injured in prison on November 4, 2012 after being beaten by a group of prisoners. Ho Thi Bich Khuong is a recipient of the 2011 Hellman/Hammett writer’s prize for persecuted writers. Chị Khương, một dân oan, một nhà tranh đấu đã nhiều lần bị đánh đập. Ho Thi Bich Khuong was repeatedly beaten in detention. Nguyen Trung Duc, the son of imprisoned activist Ho Thi Bich Khuong, reported on her condition during a visit with her on Jan. 23, 2014 in Prison No. 5 (Thanh Hoa). He reported that Ho Thi Bich Khuong remains very weak, thin, and pale and is still in pain from a long-untreated broken collarbone. Prison authorities have instructed other prisoners to beat her because she refuses to do forced labor in prison because of her painful fracture and because she maintains she in not guilty of any offense. Nguyen Trung Duc's original letter in Vietnamese, which was published on DanChimViet on Feb.13, 2014, is enclosed below. Kính gửi: Các dân biểu Quốc hội, các Chính phủ, cơ quan ngoại giao thuộc các Quốc gia dân chủ tiến bộ, các cơ quan ngoại giao. Tên cháu là: Nguyễn Trung Đức – Sinh năm 1997. Sinh trú quán tại: Xã Xuân Hòa, huyện Nam Đàn tỉnh Nghệ an. Cháu là con trai duy nhất của tù nhân lương tâm Hồ Thị Bích Khương. Ngày 26/1/2014 vừa qua, cháu đã vào trại giam số 5 Thanh Hóa để thăm mẹ. Qua buổi gặp ngắn ngủi cháu nhận thấy mẹ cháu đang rất yếu, gầy và xanh xao. Theo lời mẹ cháu kể lại thì thời gian vừa qua do xương vai bị gẫy đã lâu không được chữa trị nên đã thành tật và rất đau đớn. Vì mẹ cháu không thừa nhận là mình có tội gì và vì chỗ xương gẫy đau nhức liên tục nên mẹ không tham gia lao động “cải tạo”. Vì vậy mà cán bộ trại giam chỉ thị cho các tù nhân khác đánh đập mẹ nhiều lần. Chỉ trong tháng 1/2014 mẹ đã 2 lần bị những phạm nhân cùng buồng giam là những người nghiện ma túy đánh đập. Trong lúc gặp cháu mẹ không thể nói hết được những sự kiện đã xảy ra với mình trong nhà tù, vì có tới 4 công an giám sát buổi nói chuyện. Mẹ chỉ có thể nhắn nhủ ra ngoài rằng mong mọi người hãy cầu nguyện và lên tiếng bênh vực cho mẹ cháu. Nay cháu xin viết đôi dòng kính gửi tới các quý vị Dân biểu, các cơ quan ngoại giao, Chính phủ và Quốc hội của các nước dân chủ tiến bộ. Kính mong các quý vị dân biểu, các tổ chức Quốc tế hãy vì tình yêu và thấu hiểu nỗi lòng của bà, mẹ và cháu mà lên tiếng bênh vực để mẹ cháu sớm được trả tự do trở về chăm sóc bà nội cháu và làm chổ dựa tinh thần cho cháu. Cháu vô cùng biết ơn và kính chúc tất cả quý vị luôn bình an trong cuộc sống!